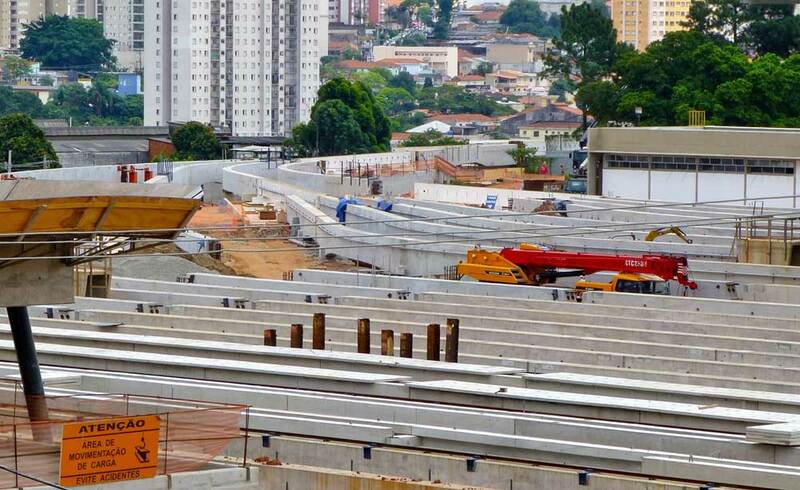 Construction Gallery - São Paulo, Brazil (Line 15). 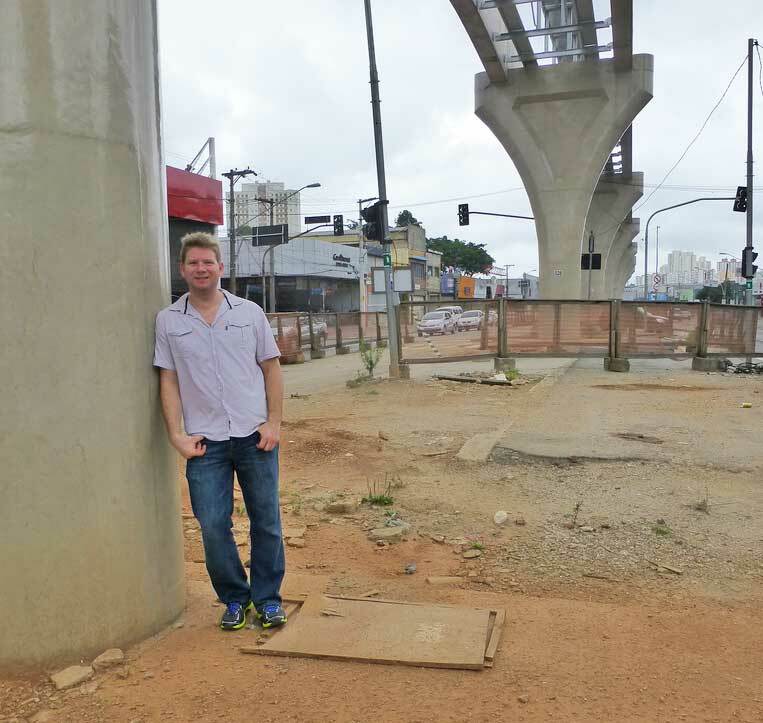 In early December of 2013, Luke once again explored Sao Paulo's Line 15 and has been kind enough to share photos with us. The above image was taken between Camilo Haddad Station and Tolstoi Station. 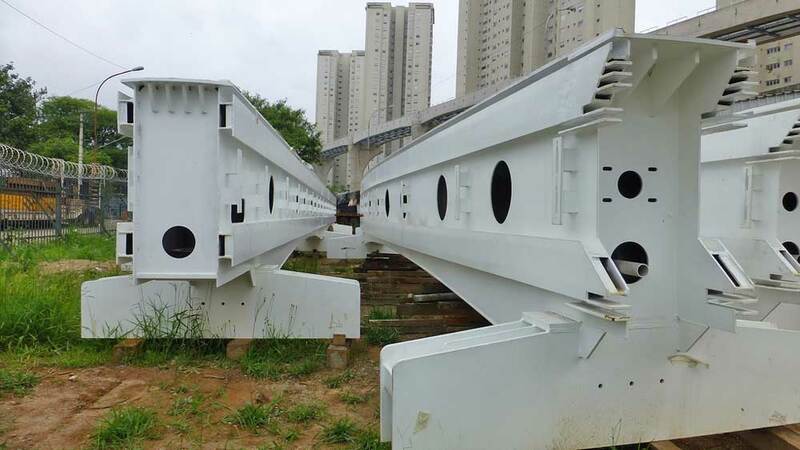 Installation of the emergency guideway is under way. 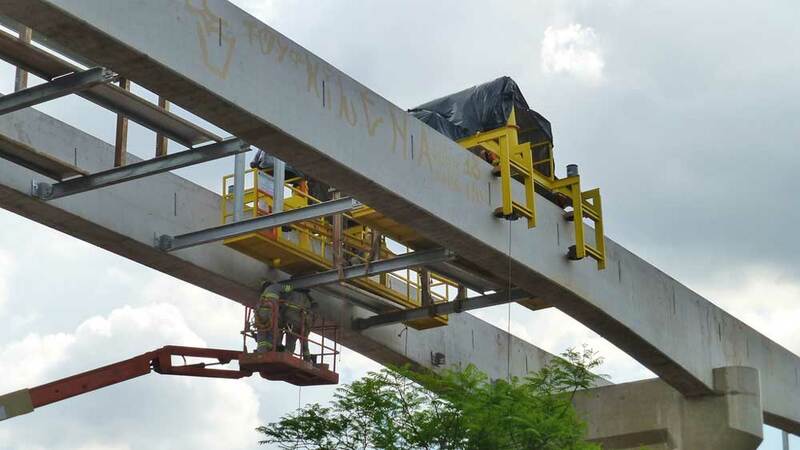 Emergency guideway installation makes use of this special track vehicle. These are the columns leading up to the Jardim Panalto Station. Luke exclaims, "Look at the view!" Indeed, it should be quite a ride. 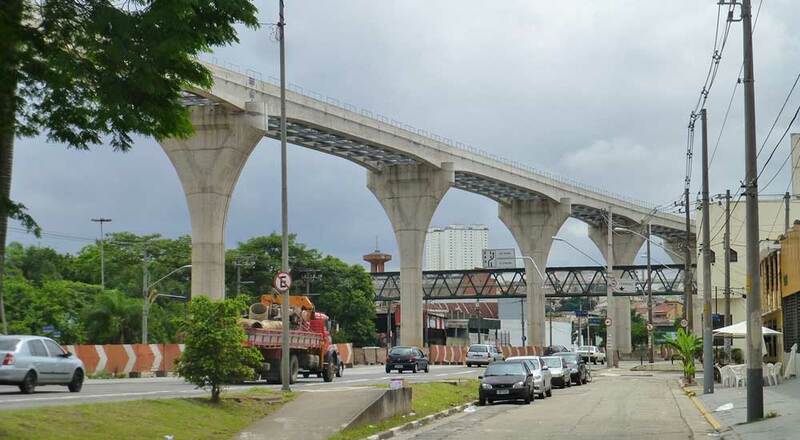 This is the stretch of track leading from Sao Mateus to Iguatemi. The after the next station, no signs of construction are present yet. Here are some stored switch beams, awaiting installation. 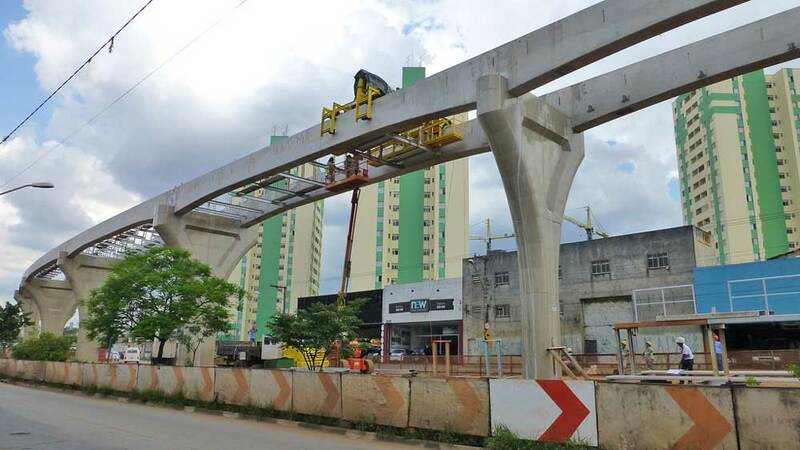 This is in between the Vila Prudente Station and the Oratorio Station. 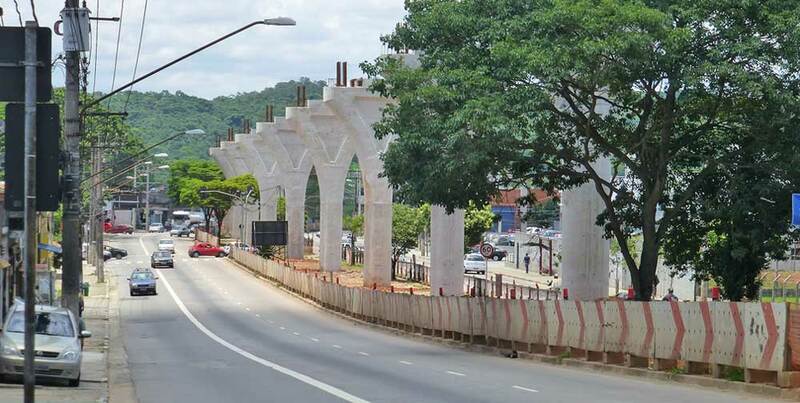 These are columns leading up to Jardim Panalto Station. Note the unique split column. About three of these columns are used in the system. A glossy protective layer is being applied to the columns. Ignoring the plywood barricades at street level, this image shows what the final product will look like. The power rails are in place as well as the emergency walkway. The handrails for the walkway rise a few feet above the top of the beams and are the first of their kind. Luke Starkenburg, our well-travelled reporter, pauses for a portrait. This art rendering shows how the monorail will look passing over a park near the Sao Mateus Station. Looks like a great spot for a TMS gathering! Thanks for the images Luke, you are certainly our current champion construction photographer!